‘I was extraordinarily pretty’ states Caroline Otero in her autobiography My Story and this much is true. 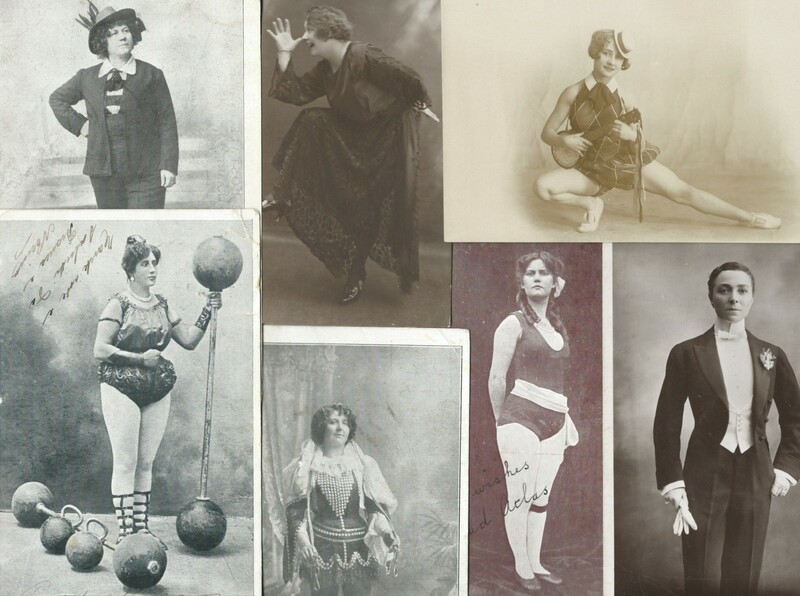 Music hall singer and dancer, courtesan and gambler, La Belle Otero lived a life of extremes and exaggerations that would raise eyebrows today. She claimed her mother was a beautiful Andalusian gypsy, Carmen, who danced, sang and told fortunes. Such was her beauty that a group of passers-by including a young Greek army officer, gazed at her in admiration as she was engaged in the unromantic task of hanging out the washing. The autobiography makes much of the courtship and devotion of the young man and tells of his death in a duel with Carmen’s lover. It is more likely La Belle Otero was born into a poor family in Galicia in November 1868 and given the name Augustina although she adopted the name Caroline at a young age. As a child she was sent away to work as a servant and is said to have been raped at the age of ten. It’s no wonder she gave herself a more romantic beginning. Otero was adept at self publicity and in 1902 the Paris correspondent of the Express writes that an engineer in Brussels was constructing an airship for her ‘by means of which she hopes to make a triumphal entry next August into Biarritz.’ She was worried it could be dangerous and so the balloon was to be dragged along by a car attached by a thin wire. If there was an accident she could ‘descend to the car by means of a rope ladder, which she will have tied in to the airship. The airship will float gracefully above the automobile at a height of 100ft.’ Mistress to ambassadors, princes, including the future Edward VII, and nobility throughout Europe, La Belle Otero scandalised and fascinated society in equal measure. Her weakness was gambling and she lost vast sums of money at the tables, sometimes her own and often her admirers’ fortunes. The Tatler tells us that in 1909 police raided a gambling club in Paris and found fifty women and ten men. On further investigation another woman, Caroline Otero, was found in a cupboard. Stories were rife of her exploits including a report in a Mexican newspaper that Otero had shot a love rival, Liane de Pougy, through the heart. Liane de Pougy was another famous courtesan and actress of the day. Both ladies were said to be very much amused by the report. In 1907 she insured her ankles for £15,000 each and was advertised as the only dancer with ankles worth £30,000. She was not universally admired and in 1895 the Evening Telegraph and Star reported a court case from Paris concerning the notorious Otero. She was living in an apartment in the Rue Charron rented by her English friend, Mr Bulpett, and the landlord charged him with not fulfilling the terms of the lease, namely that the apartment should be kept in a respectable manner. The landlord claimed Otero was damaging to the value of his property as other people objected to her. Two other tenants had signed a petition saying if she did not move they would break their leases. The defence denied any scandal had been caused by Otero’s presence in the apartments and that she and Mr Bulpett had as much right as other tenants to give dinners, hold receptions, have a carriage at the door and live a life of luxury. The judgement was in favour of Mr Bulpett. The author, Colette, knew Otero when the great dancer was in her forties and describes her in My Apprenticeships as dancing and singing for her guests for up to four hours and having a body that had ‘defied sickness, ill-usage and the passage of time.’ The character of Lea in Colette’s novel Chéri is largely based on Otero and her lifestyle. La Belle Otero retired after the First World War having built up a vast fortune but her love of gambling was to be her undoing and she died in relative poverty in 1965 at the age of 96. The Tatler had rather prematurely announced her death in 1947. Her autobiography is a ripping yarn rather than a factual account but she had a sensational life and career and who can deny her a little economy with the truth. This entry was posted in Caroline Otero, Courtesan, La Belle Otero, Music Hall, Music hall artistes, Music Hall court cases, Music hall dancers and tagged Caroline Otero, Courtesan, La Belle Otero, Liane de Pougy, Music Hall, Music hall dancers on July 12, 2018 by Monomania.